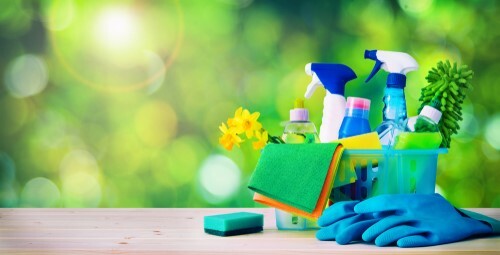 Spring cleaning can be no small task. Here are three tips to help spruce up and clean your home. Haven’t worn a shirt in over 2 years? Been a while since you used those bed sheets? Minimalize your belongings by getting rid of any old, unwanted or broken items. Sort items such as, clothes, toys and furniture into piles for recycling, donations and storage. By decluttering items, it can help clear up space on your counters or closets. eady spent time on. Start with dusting ceiling fans, countertops, light fixtures and work your way down to the floor. That way you can vacuum/sweep/mop all the dust and particles that have fallen. Make a plan! Tackle a room at a time, or if you have a two-story home, tackle the downstairs first, or vice versa. Regardless of where you start, or even if it takes 2-3 weekends in a row, having a thought-out process will help make cleaning easier. These tips are designed to help motivate you to deep clean your house and make it sparkle all year round. Happy cleaning!